FootSports at Newcastle Golf Centre Dublin offer unique sports activities for all ages. No matter what the occasion is, Newcastle Golf Centre has activities to suit you. We now offer you a range of FootSports. FootSports are hybrids of two or more sports. A football, rugby ball or American football is used depending which game you are playing. They are fun, competitive and can be enjoyed by players of all ages and abilities. FootGolf combines football and golf and is played over 18 holes on a golf course. The aim of the game is to kick the football from the teeing area and into the hole in the fewest number of kicks. Its time to Kick and Putt! RugbyGolf is similar to FootGolf except a rugby ball is used. RugbyGolf is also played on the golf course over 18 holes. You can throw or kick the ball. This provides the added challenge of not knowing where the ball will bounce when it lands! FootDarts is our newest activity. Players score points by kicking or throwing a football at the giant inflatable dartboard. Definitely not as easy as it looks! FootBowl brings together soccer, american football and bowling. Knock down your opponents pins before they knock down yours. You can kick or throw the ball. Can be played by players of all ages and all abilities. Strike! We cater for families, groups, stags, hens, sports teams, corporate days and more. You can play one or more activities. We can also provide a room if required for a birthday party, group outing or some other event. There is no booking required for FootGolf and RugbyGolf, however we do recommend pre-booking for FootDarts and FootBowl. Get Your Kicks at Newcastle Golf Centre Dublin! At Newcastle Golf Centre we provide a range of excellent golf facilities and activity centre to cater for all ages and all interests. Only 30 minutes from Dublin we are the perfect location for a family day out, birthdays, team building and corporate days, stags and hens and more. For the keen golfer our floodlit, covered driving range and short game practice area provide the perfect warm up before you head to the course. The 18 hole par 3 golf course is the perfect challenge set in a beautiful parkland location. For the part time golfer we now offer FootGolf! 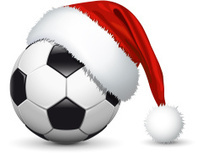 Part soccer, part golf, all entertainment and suitable for all skill levels. Great family fun and a brilliant way to play golf without having to carry clubs! Or why not try something completely different- Laser Clay Shooting. Using real, deactivated guns, fire a harmless beam at a clay launched through the air. Completely safe, environmentally friendly as the clays are re usable and fun for any occasion. ( must be 16 years of age or older due to the weight of the guns). FootBowl, our newest activity is suitable for all ages. The aim of the game is simple, using a soccer ball or American football, knock down your opponents pins before they knock yours down. Looks easier than it is! Booking is required for Laser Clay Shooting and FootBowl. more activities coming soon, keep an eye on our website for future updates. FootGolf is the latest craze sweeping the world and it is quickly becoming incredibly popular in Ireland. Known also as SoccerGolf and FootballGolf , FootGolf is a combination of two of the worlds most popular sports – soccer and golf! The rules of footgolf are similar to the rules of golf. The game is played on a golf course, with sand bunkers and various hazards. The first shot has to be played from the tee, and to reach the hole, bunkers, trees and hills have to be crossed or avoided. The player who completes the 18 holes with the fewest shots wins. Just kick & putt the ball into the hole! It can be played by all fitness levels, all skill levels and takes less than 90 minutes for a group of 4 people. It is a game of accuracy and doesn’t require running. Kick & Putt – it’s FootGolf time! Looking for a last minute Christmas present? 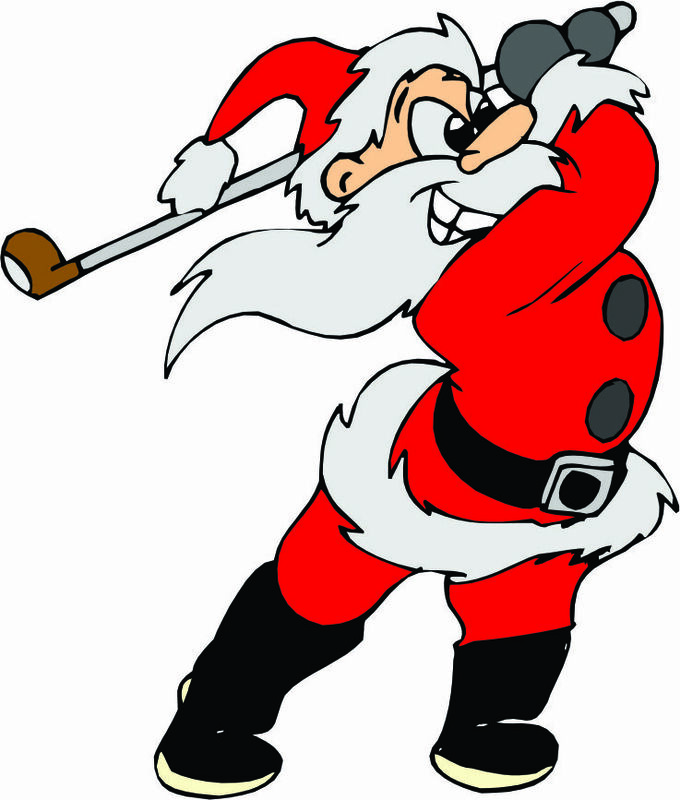 Its that time of year again when Santa puts his golf clubs away for a day to make his worldwide journey! If you’re looking for a stocking filler, Newcastle Golf Centre is here to help. FootBowl – Combining the worlds greatest sports! Now available at Newcastle Golf Centre Dublin and Ballybane FootGolf!!! The only game of its kind in Europe, FootBowl combines elements of football, bowling and more in a new fun activity. The game is played by two or more people and is great for families, groups, stags, hens and team building. Inspired by tailgate party games that are played before American Football games, FootBowl is great entertainment that will have you hooked from start to finish. You choose whether to throw like Superbowl winning quarterback Peyton Manning or take a penalty kick like Barcelona legend Lionel Messi, the aim is the same- knock your opponents pins down before they knock yours! Choose your ball-American football or soccer ball. The aim of the game is to kick or throw the ball from the marker and try to knock down your opponents pins. Any kicking or throwing style can be used. A match is made up of frames. A frame is completed when all the pins are knocked down. The team that knocks down all their opponents pins first wins the frame. The team that wins the most frames wins the match. A match is made up of 5 frames. In the final frame, if the player that is losing, is making the last kick/throw and knocks down all 10 pins the game is tied no matter what the score is from the previous frames. The match then goes to a play-off. Play-off: A single pin is placed on the lane. The first person to knock the pin down wins the match. Each player has 20 seconds to throw/kick the ball. The 20 seconds starts from when the opposing teams kick/throw has come to rest. PENALTY: Opposing team regains possession. Players must kick/throw from behind and between the markers. PENALTY: Opposing team regains possession. FootBowl can be hired and brought to your location. Available for birthdays, weddings, event days, team building days and more. 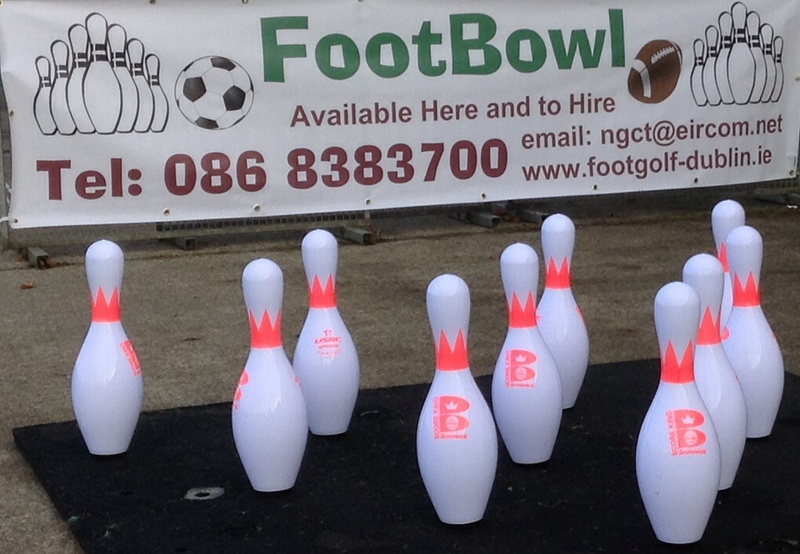 All equipment is supplied including pins, balls, scorecards, markers delivery and set up in Dublin and surrounding Counties. If you are travelling to Dublin for a short break or a family holiday and looking for things to do in Dublin why not visit us at Newcastle Golf Centre Dublin for a game of golf, practice on the driving range or head to Ballybane FootGolf for golf of a different kind! There are a number of accomodation options nearby from Finnstown Castle Hotel, the Lucan Spa Hotel, Citywest Hotel, Bewleys Hotel, the Clarion Hotel, The Green Isle Hotel, The Red Cow Hotel, Springfield Hotel and more. Dublin as a city has many attractions to see during your stay from Dublin Zoo to the Spire, the GPO to the National Museum of Ireland and Guinness Storehouse. There are so many things to do in Dublin and the Dublin Bus tour is a wonderful way to see many of these sights. At Newcastle Golf Centre Dublin we have a number of facilities for you to enjoy. Golf, driving range, footgolf, laser clay shooting and footbowl mean that whether travelling as a group or family you can have an entertaining day while also seeing a more rural side of Dublin. Do you like football? How about golf? Then you will love the new craze that has hit the Irish shores – FootGolf. Similarly to golf, FootGolf is played on a course. The objective of the game is to place the soccer ball in a hole using your foot, with the minimum number of strikes. The distance between the tee and the hole is different for each hole and the difficulty of the terrain varies. Same as in golf, you have water hazards and sand bunkers to consider. FootGolf is fun and highly “addictive”. The fact that precision, not strength and endurance are key factors to winning, make it a popular family game. Known also as Football Golf or Soccer Golf, FootGolf is also very popular with those who used to play football well but no longer have the energy to run around a pitch.